Ms. Becker has been practicing Workers’ Compensation Law exclusively since her admission to the New York State Bar in 1994, primarily representing carriers, self-insureds, and employers directly. 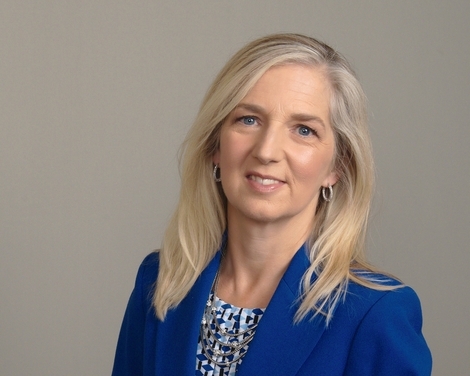 She is the Past Chair and a current member of the Erie County Bar Association Workers’ Compensation Committee and frequently lectures at CLEs for the Bar Association. Ms. Becker handles all aspects of litigation, including initial contact with employers during the investigation, necessary filings, witness preparation, court appearances, lay and medical testimony. Over her career, she has cross-examined hundreds of medical professionals including most of Western New York’s most prominent orthopedic and neurologic specialists, always with the goal of ensuring that claims brought are for legitimate workplace injuries only and truly causally related medical care. Ellen negotiates and drafts final settlement agreements to end liability, both medical and indemnity, frequently encompassing Medicare set aside, annuity and third party settlement issues. In addition to her practice, Ms. Becker has recently been elected to the Board of Directors for The Arc Erie County (formerly Heritage Centers), a not for profit company dedicated to creating opportunities for People with Disabilities. A Nardin Academy graduate, Ms. Becker served on both the Nardin Academy Alumnae Association Board and Board of Trustees. In 2009, after serving as President, she was the recipient of the Nardin Academy Distinguished Alumnae Award. Ellen is the current President of the Delaware Soccer Club, a nonprofit organization bringing physical fitness and love of soccer to children in Buffalo for over 35 years. Ellen is a member of the Olmsted Parks Conservancy. She is proud to be a part of keeping Buffalo’s historic Olmsted Park System vital and family-filled.